It wasn’t really my fault – I didn’t have the history, the experience, or the knowledge base to give me the skillset of how to actually interact with other people. I was quite a bit – a LONER. Then, I got into software design… I started writing computer programs – I started doing things that were very nerdy… very geeky. I would go in the library, read books, and code software – none of these things were very social activities. Where I maintained friendships with 1 – 2 people… I got my first kiss at 21 years old. 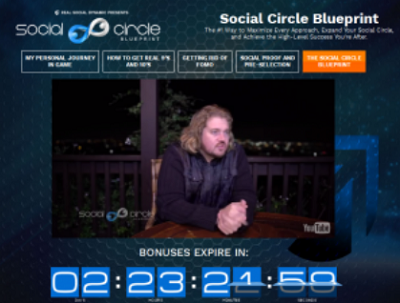 The Framework for Using The Social Circle Blueprints to Not Only Save You Money – But Actually MAKE YOU MONEY! Everyone who is a part of our group is there to provide value to one another, and to maximize each others’ results.